Land is the same everywhere now. Just sand, rocks and pylons, that help not to get lost in this endless desert. It must have been different back then. That’s what Joule Adams thought while jumpin from one stone to another. She is awake from the cryo-sleep and back on the shift. She is a pylon-engineer. This is a hard work, but it’s worth it. Mack was jumping by her. It’s one of those robots that are still loyal to humanity, while others are trying to kill us. That’s probably why it has a shape of a dog. Yes, it’s just a shape but sometimes you just don’t notice it – that’s how close we are. We just got to sealed doors and as if it was reading my thoughts, the speakers gave a happy barking after a minute of digging the mud. We found an android-keycarrier that helped us get inside. We faced these spiderbots in the cave, who took poor Mack! Without thinking, I rushed to help it. 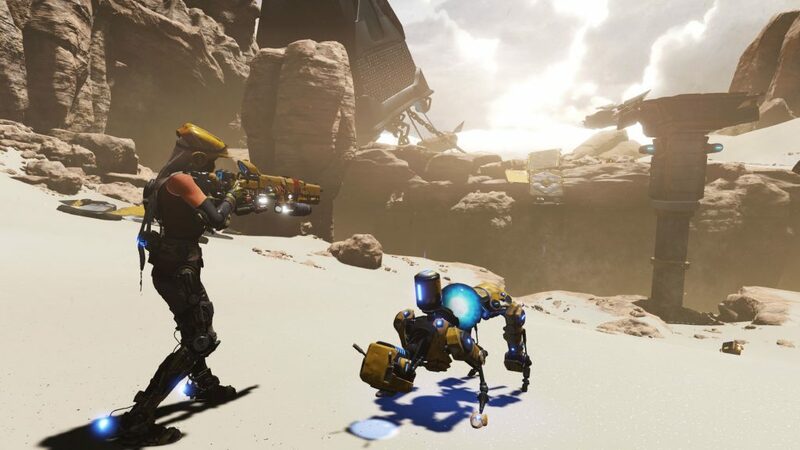 Recore is an action adventure, that reminds of Tomb Raider reboot in its gameplay, Mad Max in visuals and something else in its atmosphere… Once, machines destroyed humanity and people have been fighting for their survival on Far Eden ever since. The main charachter is a cute girl with engine boots, a core-cable and a rifle that reminds us of M1 Garand very much. Her companion is a Wall-E that can fight, if we may. An incredibly lovesome creature, however capable of assist in fight. The story begins with Admas father and other people missing and the Pylon 512 that she is supposed to fix was broken 96 years ago. There also is crafting system, that will allow us to upgrade our companions (yes, Mack is not the only one). Developers don’t hide the fact of inspiration by Metroid while creating enemies. Android-centipedes, spiderbots – small to big ones. The gameplay is pretty simple: shoot enemies, if they don’t die, use the cable and tear the core out. The game can be surely rated 12+ as there are no himan-like enemies and the visuals are supercolorful. The thing is to remember that the more shades of yellow your descktop has, the better. 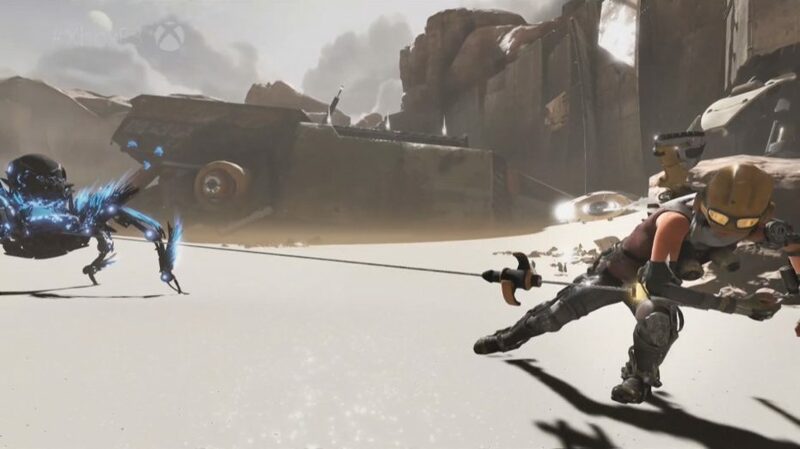 Recore is available on Xbox ONE and Windows 10 for approximately 46$.